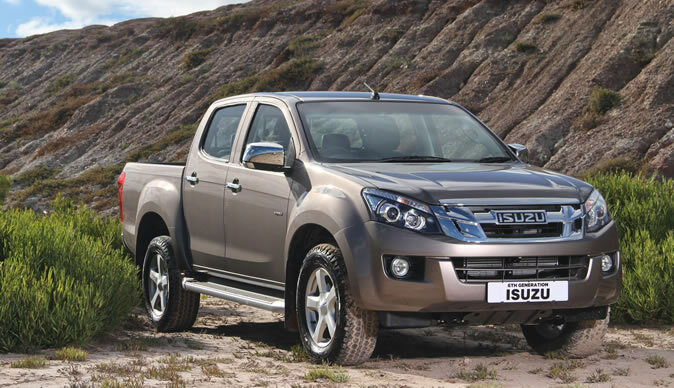 Nairobi - The growth of the commercial vehicle segment in the region has seen General Motors East Africa (GMEA) launch the new 6th generation Isuzu D Max in the highly competitive pick-up segment. 2013 saw an increase of 15% in the commercial segment, in comparison to the previous year. This increase is largely driven by growth in the agricultural, telecommunication, transport and construction sectors, GMEA managing director Rita Kavashe said. "The 6th-generation Isuzu D Max which builds on Isuzu's iconic heritage of innovation, toughness, durability, reliability and functionality, is ideally positioned to meet this demand." Added Kavashe. The new pickup will be available in 7 diesel models that will offer great driving options and flexibility to our customers when it comes to; work horse capability, leisure and off-road driving. "Isuzu has successfully dominated the Kenyan market for most of its 50 years in the country, offering perfect partnership to our customers. We are proud to continue offering a strong vehicle to a strong nation," Kavashe said. Speaking at today's launch The Vice President, Product Engineering-Africa, Wendle Roberts, said "General Motors has an excellent partnership with Isuzu, which we will continue to maintain as we grow our light commercial, truck and bus business across the continent." "We are proud to be bringing vehicles to market that are of global standard, engineered for African conditions, that meet our customers' expectations," he said. Roberts emphasized that the launch signalled GM's confidence in the East African economy, where it invested over US$2-million last year in a plant upgrade that improved production capacity by 30% and a bus body technology centre that is a benchmark for safety, quality and technology in the industry. GMEA's 26.1% share of the Kenyan vehicle market is built on its excellent reputation for product performance and after-sales support, Kavashe concluded.